A uniquely collaborative research team unpacks a widely used but rarely scrutinized term in global health. 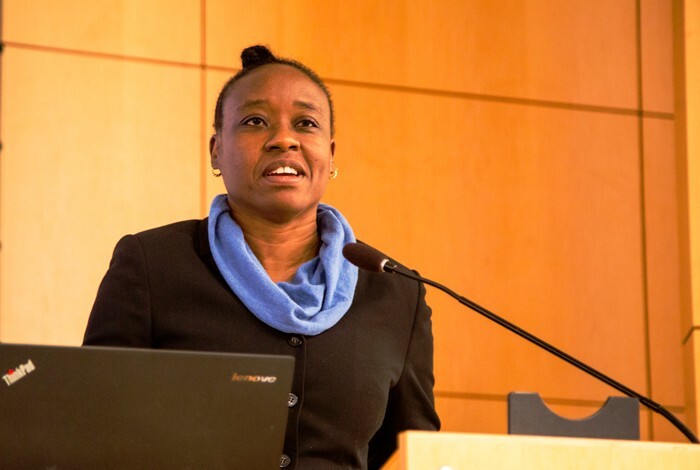 Iruka Okeke, Professor of Pharmaceutical Microbiology at the University of Ibadan, Nigeria, speaks on global health partnerships at the UW in February 2017. The call went out to scholars across the University of Washington: an invitation to come together to examine a popular but rarely scrutinized term in global health. Responses came from historians, anthropologists, a philosopher of medical ethics, and cultural scholars who have led study-abroad trips to Tanzania, South Africa, and elsewhere. They also came from clinical physicians, public health and nursing faculty, and leaders of humanitarian aid non-profits. Together, they’ve formed a novel collaboration that uses new forms of inquiry and publishing to ask humanistic questions about issues usually left to the sciences. The term in question is “partnerships,” which appears seemingly everywhere that health workers from wealthy countries interact with poor countries, particularly in Africa. Margaret Chan, Director of the World Health Organization, recently praised partnership during a visit to the UW Department of Global Health. 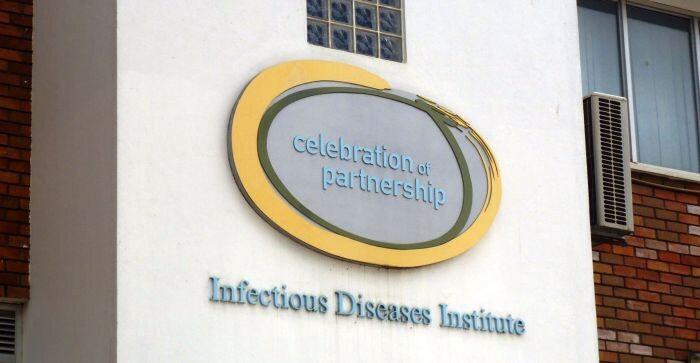 The Infectious Disease Institute in Kampala, Uganda, deploys it in its motto: Celebration of Partnership. The celebrated anthropologist, doctor, and humanitarian Paul Farmer — who will deliver a Katz Distinguished Lecture in the Humanities at the UW in February 2018 — uses it in the organization he co-founded, Partners in Health. 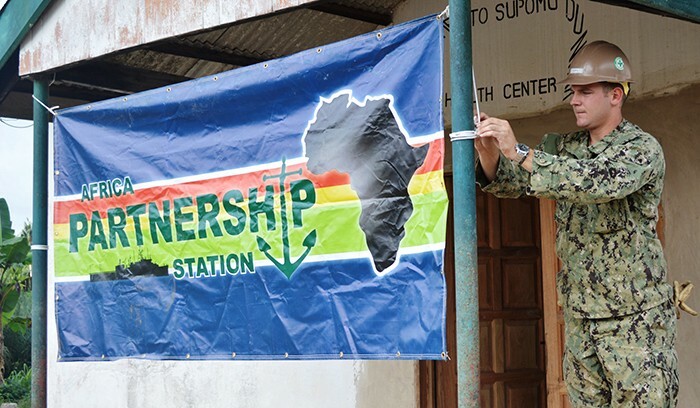 At first glance, partnership suggests cooperation, equality, and friendship — all inviting notions, especially for trying to move past colonial histories of violence and exploitation. But beneath that surface lie often-unequal relations that the project organizers want to examine. 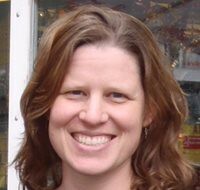 The project, Humanistic Perspectives on Global Health Partnerships, is funded by the UW Simpson Center for the Humanities and organized by Crane, Lynn M. Thomas (History), and Nora Kenworthy (Nursing & Health Studies, UW Bothell). Seattle offers a natural home, as the base of major organizations such as the Bill & Melinda Gates Foundation, PATH, and the Institute for Health Metrics & Evaluation, along with highly regarded UW programs in medicine and public and global health. Rather than inviting only colleagues they already knew, the three organizers sought scholars from across the UW’s campuses and a wide array of disciplines. That led to a lively opening workshop in November 2016, where 22 participants each offered an “artifact” representing their work. Through a sort of academic show-and-tell, they introduced objects like a 1940s UN report on coca science in Peru and a photo of military operations in response to the recent Ebola outbreak in Liberia. The three-hour, discussion-based workshop created space for informal conversations, without requiring the commitment of a multi-day conference. A second workshop in February 2017 gave more time for discussion of essays drafted by each participant in the interim. The group agreed to submit essays to two online, open-access publications, Africa is a Country and Medicine Anthropology Theory. For its February keynote speaker, the group invited science studies scholar Iruka Okeke, a Nigerian microbiologist and Professor of Pharmaceutical Microbiology at the University of Ibadan, Nigeria. Okeke spoke about the power imbalances that play out when Africans are asked to provide tissue samples and data for Western studies, but none of the intellectual contributions. Okeke’s participation in the winter workshop spurred new lines of conversation, such as the lack of reciprocity when American students study abroad in Africa. That led to discussion of structural forces like university policies that use language of partnership but require all study-abroad funds be spent on American students, making reciprocal exchange impossible. African studies scholars Ben Gardner (Interdisciplinary Arts & Sciences, UW Bothell) and Ron Krabill (Interdisciplinary Arts & Sciences, UW Bothell) described a recent trip they led to Tanzania, where students came with preconceived ideas about the kinds of interactions they would have, the photos they would post on Facebook, and the reflections they would use in blog posts and graduate-school applications. Lynn Thomas gave a historical view of the fitful progress in Africa from population-control programs of the 1960s and 70s to contemporary initiatives. She described “vertical funding” approaches that provide aid for single issues — such as family planning or, later, AIDS — without supporting broader health care systems. Steve Gloyd and James Pfeiffer, Global Health faculty members involved in the hands-on provision of health services in Africa, along with School of Nursing faculty member Sarah Gimbel, discussed the lack of support for primary-care systems as the greatest weakness of global health today. Johanna Crane noted that, while global health comes draped in the language of heroic medicine, its day-to-day practice looks more like the administrative work of tax compliance, ensuring cash flows for payroll, watching currency values, and managing visas. 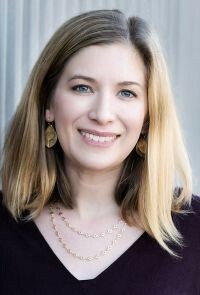 Far from trivial or boring, studying these structures can reveal much about the inner workings of institutional partnerships, and how power moves and operates in the field, she said. Where earlier global health projects were run informally, with American faculty using petty cash and personal saving accounts, universities have developed a web of “enabling systems” to formalize institutional partnerships, Crane said. US partners commonly create local non-profits or “shell NGOs” in foreign countries to open their own bank accounts and retain control of grant money. These arrangements can reduce the fiscal and legal risks of transnational work, but they may also allow US universities to avoid working directly with foreign institutions, raising the question of how far such partnerships go. Such research doesn’t condemn global-health partnerships, but it asks those involved to look more closely at hidden assumptions and political imbalances. This can lead to a more honest reckoning of the power dynamics at play in work between countries that are not equal in wealth. In this way, the project contributes to the UW’s university-wide Population Health Initiative. The initiative, supported in part by a $210-million gift from the Gates Foundation, seeks to understand and improve population health in all its breadth and complexity. The initiative has co-funded, with the Simpson Center, the next stage of Thomas, Crane, and Kenworthy’s work in 2017–18. The three plan to conduct interviews with key global health leaders at the UW and in Seattle, leading toward a series of linked essays on the past, present, and future of partnerships. This story first appeared at the University of Washington Simpson Center for the Humanities.